Oscar Cruz makes a play on the ball during a game two years ago. And, over those three years, this year’s senior class has compiled a 44-13 overall record, which includes a pair of Henlopen Conference South Division crowns as well. The maestro behind all of this success is Steve Kilby, who is back for his 13th season leading the boys’ program. He has compiled well over 100 wins in his tenure, a couple of state titles and several conference division championships on his résumé, along with multiple Coach of the Year recognitions. This year’s returning seniors for the Indians looking to get back to their fourth straight state title game will be midfielder/defense Luke McCabe, midfielder Juan Linares, defender Luke Morgan, defender Jhony Velasquez and goalie Zach Neal. 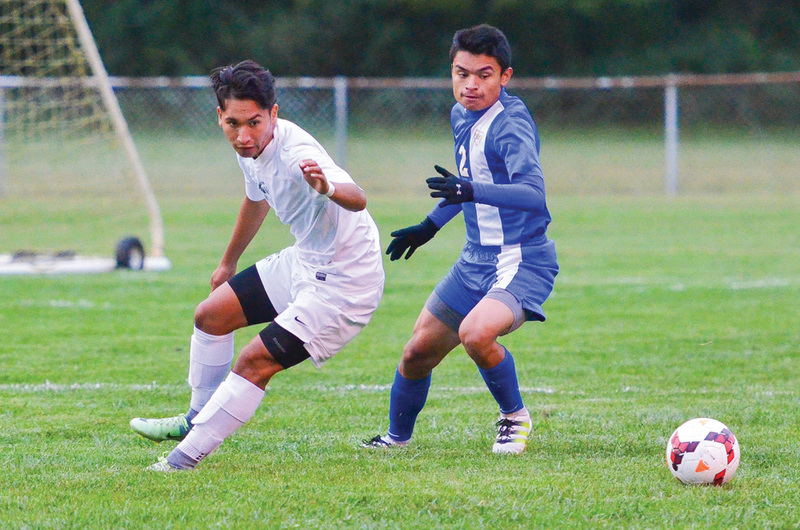 Junior forward Jarrod Cordoba is expected to be a big part of the Indians’ success this season, as is sophomore defender Erick Aguilar. Five new faces are being counted on to be key newcomers to the program, in the form of Josh Bird (defense), Yonafer DeLeon (forward), Yves Graf (defense), Alex DiLuzio (forward) and Eddie Mochiam (midfield). The Indians will open their 2018 campaign on the road in the DAAD Upstate-Downstate Challenge against Newark at Dover High School on Saturday, Sept. 8. Game time is 5:30 p.m. They then return home for a pair of contests against Cape Henlopen (Sept. 11) and Woodbridge (Sept. 13). A road contest at Delmar (Sept. 20) splits another homestand featuring Caesar Rodney (Sept. 25), Lake Forest (Sept. 27) and Sussex Central (Oct. 2). They will then hit the road for six of their remaining eight games, with only Sussex Tech (Oct. 18) and Laurel (Oct. 23) as their late-season home contests.